If you've been thinking about selling your current home, I have good news! 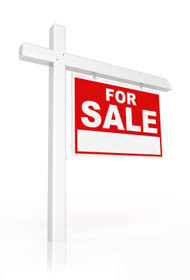 Despite gloomy national real estate news, local area homes are selling quite well and often at or above asking prices. Good schools and low mortgage rates have kept many qualified buyers in the hunt for homes in this area, eager to purchase before rates rise. Demand, which will be high in the coming months, translates to opportunity for you! Selling your home involves much more than just placing a "For Sale" sign in your yard. As your coach and advocate, I am here to help you prepare your home for sale, market your home, and guide you through the process to ensure you sell your home within your time frame and get the best price possible. Together, we will determine the correct price range for your home. Communicate every step of the way! Buyers most likely look in the price range determined by their monthly payment ability and down payment. Thanks to the internet, buyers are often very knowledgeable in their price range and purchase by comparison. Unrealistic asking prices are an immediate turn-off. If your asking price is unrealistic, you may get lots of "tire kickers," but few offers, if any.